The router has become the most versatile and popular woodworking tool in the workshop today. This book shows and describes typical routers designed for the home workshop, together with the range of cutters and accessories available. The router has become the most versatile and popular woodworking tool in the workshop today. This book shows and describes typical routers designed for the home workshop, together with the range of cutters and accessories available. 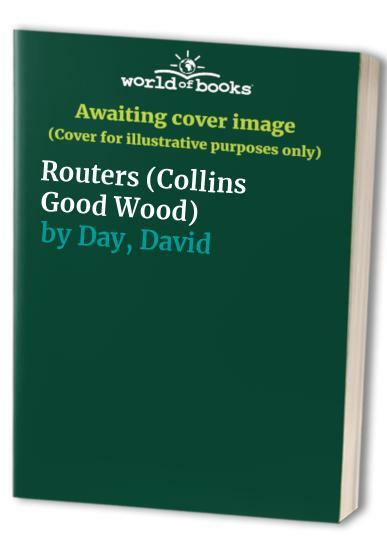 Using colour photographs and step-by-step drawings, the book demonstrates the basics of setting up, using and maintaining a router in the inverted and overhead positions for special tasks. Further chapters explain how to use the router for shaping, drilling and boring, how to construct woodworking joints, and how to utilize the router for jobs around the house, all clearly presented to enable the woodworker to get the best from this popular woodworking machine.